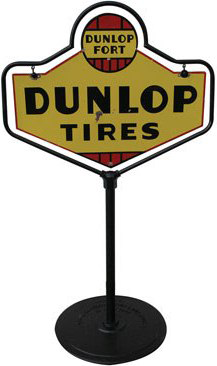 Lollipop sign for Dunlop Tires. The World’s Finest. This sign is on a stand that has a frame, and the sign is hanging from that frame.